It’s true that inspiration is fleeting. It’s entirely possible and plausible that you are struck by a great idea but have nowhere to note your thoughts down. Your iPhone is nearby but it’s possible that even as you go through the hassle of unlocking your device that the great idea is gone. Apple has addressed this issue through a simple innovation; doing away with the lock screen – for Notes at least. 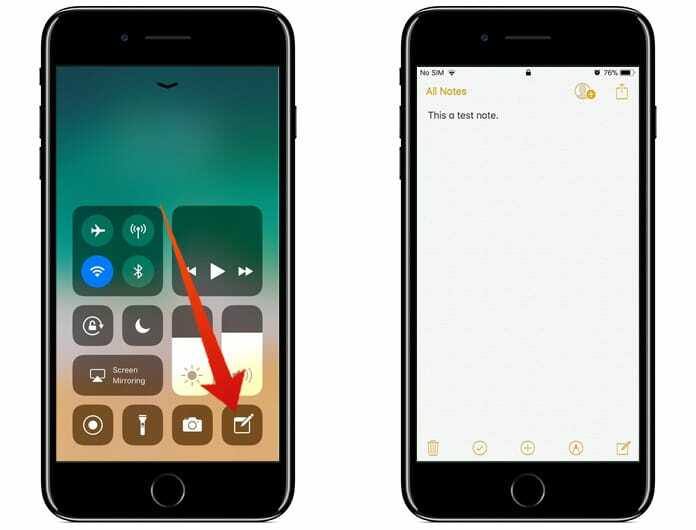 iOS 11 will allow you to open up Notes and access the app right from the device’s lock screen. Ensuring a Notes shortcut in the Control Center is very important. To do so just go to Settings -> Control Center -> Customize Controls and add control for the Notes app. 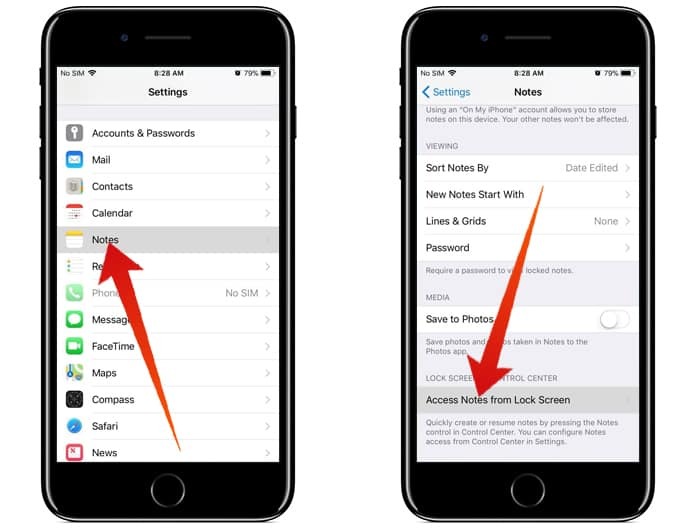 Enabling quick access to notes from the Lock Screen can also be done through Settings. When you are in the Settings menu just scroll down till you reach Notes and open its menu. You will see the ‘Lock Screen & Control Center’ at the bottom, choose ‘Access Notes from Lock Screen’. In this menu, it’s a simple matter of choosing between ‘Always Create New Note’ or ‘Resume Last Note’. After deciding, tap on ‘Created on Lock Screen’ which will create a new note from the lock screen and allow you to create a new note easily. This will only let you access a single note when opened from the lock screen, and an option to create or resume a note in timed intervals to maintain security. If you choose ‘Viewed in Notes App’ you will get more flexibility since the Notes app itself is launched. However, the problem with this is of course that you compromise on security. 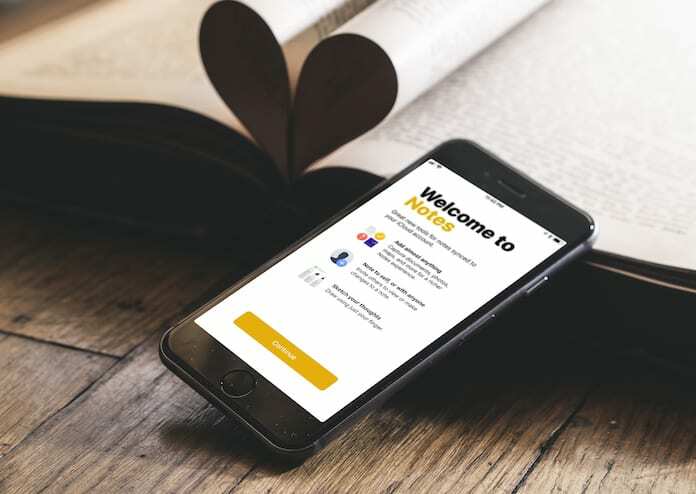 Anyone can open your app and have full access to all your Notes and potentially very private information. There is a workaround, which is to make use of Touch ID where you can note down your ideas. Once you have set everything to your desired preferences, try accessing Notes without unlocking your device. Swipe up from the bottom of the screen to see the Control Centre and top on the Notes icon to get down to jotting down your ideas and inspirations. 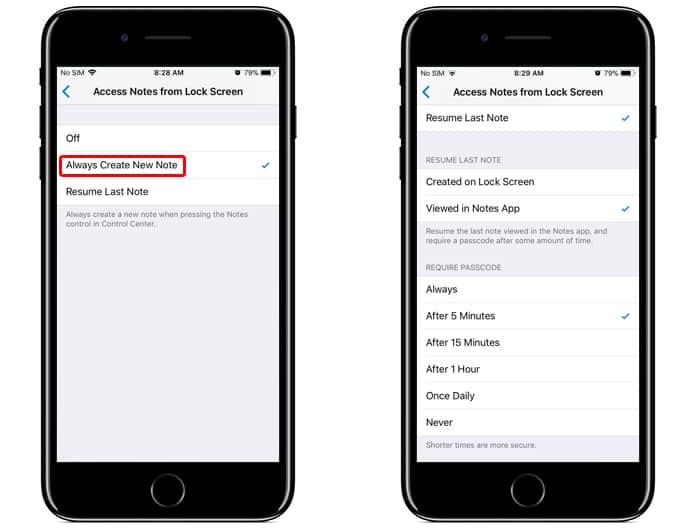 Follow these steps to begin accessing Notes App from the iOS 11 Lock Screen. If you have any questions, feel free to ask.